...and it was a lazy seventh show of the Voice of the Philippines last night, replete with jazzy performances and offbeat OPM selections by the contestants on the night... It was crying for a Lee Grane or a Mitoy Yonting; even the father and son duet of the Cordovaleses who gave me goosebumps last Sunday. Patience, they do say, is a virtue. Just my luck that I did not channel hop or fall asleep. But of course distinct can also be, like, unbearable. But when she started with the opening lines of this haunting song which I’m sure few apart from fans of indigenous music have ever heard before, my word was she being true to her word! First of all, the song choice was nothing if not brave. Her piece was an excerpt from ‘Uwahig,’ a Mindanao-themed musical play that had been presented at the Cultural Center of the Philippines. It sounded a lot like a tribal song from some obscure village up in the mountains in Mindanao. Indeed, Pelos herself explained the world ‘Uwahig’ to mean water in the dialect of a tribe in Bukidnon. And the song, when you come to think about it, is not the sort – at least before last night – that one expected to hear sung by a contestant on the Voice of the Philippines. Most of the OPM songs before last night were more or less mainstream OPM. But more than just being different, Pelos was actually quite an accomplished technical singer. These tribal songs from Mindanao are quite different from the more melodic mainstream pop songs that everyone is more or less used to. The notes fluctuate in a different way from mainstream pop so that it is as if the singer is asked to be deliberately sin tonado with some notes. That’s not easy and requires great technique. Which Pelos had. The song was haunting enough as it was; but she sang it almost with an ethereal quality, as though the lyrics and melody were emating from another dimension. It was lovely. And not surprisingly, all four judges turned around. Initially, it was just curiosity for the four judges – and probably for the television audience as well. Then the quality of the performance just took over. 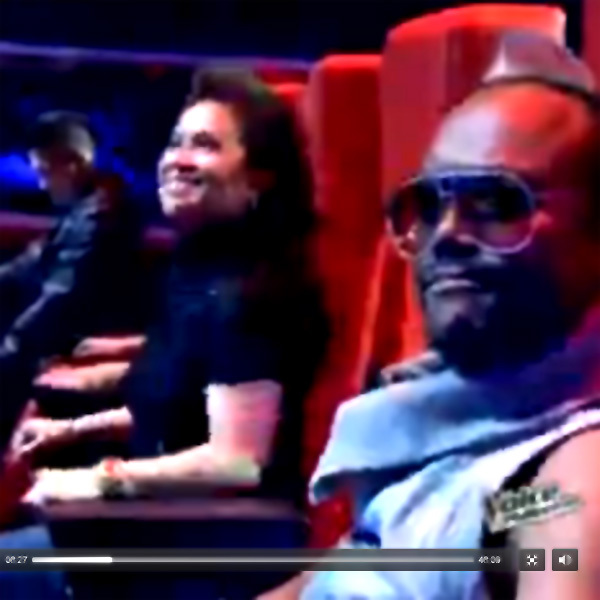 Although apl.de.ap raised two cards – one said ‘Akin ka na lang’ and the other ‘Bagay tayo,’ Pelos opted for Lea Salonga. It was probably just as well because Salonga is arguably the most technical singer of the four judges. 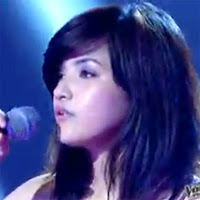 The only other singer last night who impressed me was this Ilongga Angelica Prado from Bacolod. Her song choice was brilliant for her range if also difficult to sing. ‘Dreams’ by the Cranberries is lovely to listen to but not the sort you and I can sing convincingly in the bathroom. It requires great technique as well. To my utter glee. Bamboo did not look too amused. Last night was remarkable for the quickness with which Bamboo and Salonga turned around for separate singers. Paolo Onesa, a 19-year old from Zamboanga City, was only a few seconds into his song when Bamboo slammed his palm on his turn-around button. Curiously, nobody else did; and truth be told, I wasn’t too impressed with his performance, either. The boy is a looker, though; and I was half-expecting Sarah G to giggle as though her peanut tingled – if you know what I mean; and I am sure you do – at the sight of him like she did on the opening weekend. Salonga needed just 5 seconds to turn around for Diday Garcellano who I half-expected to sing a song entitled ‘Hello Garcie’ or something. Instead, she sang something called ‘Begging for Mercy’ which I had not heard before. Nobody else turned around for her so I wondered what Salonga heard as I did not hear an awful lot. Now with Juvie Pelos, boy that was something else!